One of the most powerful factors in therapy is that it involves the intensive relationship between two (or more) human beings. The issues of transparency and self-disclosure therefore become important concerns for therapists; how can they use themselves effectively in their work without transgressing on professional regulations? 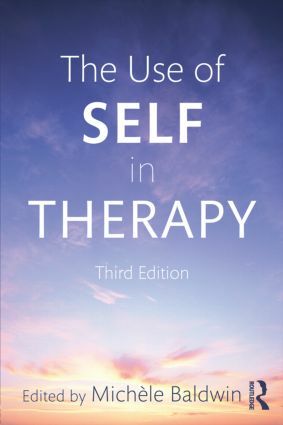 These issues and concerns are addressed in this new edition of The Use of Self in Therapy by experienced therapists, who share their own wisdom, research, and experiences in valuable ways. Disregarding methodology or approach, the authors demonstrate how to train and develop the self and person of the therapist as a powerful adjunct to successful therapy. They enable practitioners to become more effective in helping their clients to realize and regain their own powers of healing and healthy recovery. This 3rd edition also examines the impact of increasing professional regulation, as well as the impact of the internet and social media on the conduct of therapy. Also new to this edition are discussions of how therapists can use themselves in cultures that are less individually-oriented. This book is a valuable addition to any therapist’s library and therapy supervisor’s teaching arsenal. ByGRANT D. MILLER AND DEWITT C. BALDWIN JR. The Self of the Addiction Counselor: Does Personal Recovery Insure Counselor Effectiveness and Empathy?